GENERAL EDITOR: J. CHARLES COX, LL.D., F.S.A. Arthur Francis Leach (1851-1915) was a barrister who worked for the Charity Commission. He developed a deep interest in the early history of England’s schools and wrote a number of books on the subject, of which ‘The Schools of Medieval England’ is the most famous. 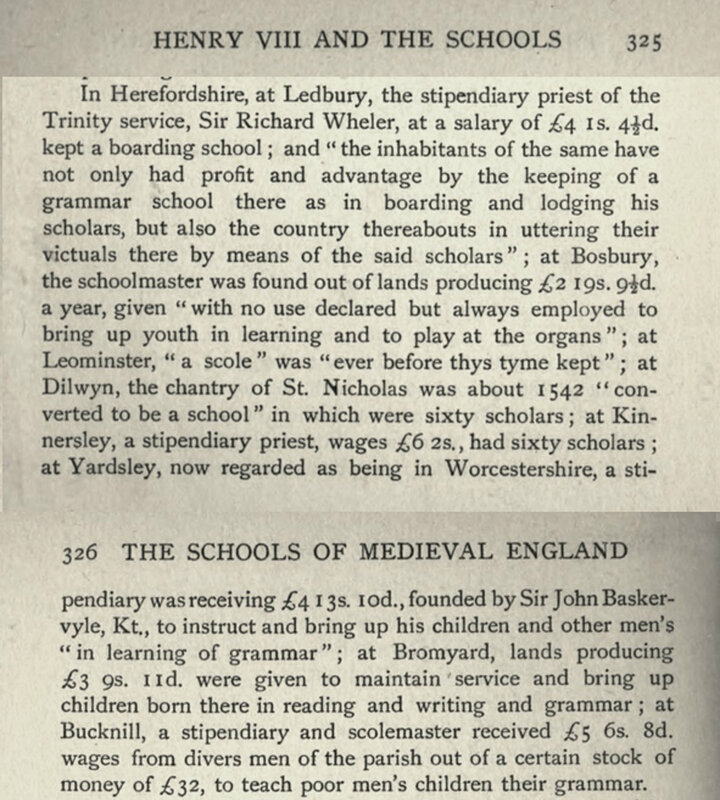 He wanted to disprove the persistent myth that the monks had been the schoolmasters of the pre-Reformation period in England and his research enabled him to establish the great antiquity of many of the nation’s Latin schools. This is his entry for Herefordshire.